Looking for Adult Piano Lessons? Adult piano lessons are much different than kids piano lessons. They should be of course. Here are some things to look for when searching for the right adult lessons for you. pieces of music that appeal to adults (not children's songs). begin playing piano pieces within the first couple of weeks of starting. books and material designed specifically for adults. a section on learning chords (unless you only want to play Classical music). rounded approach so that you can move on to learning the style you want to play. Online or With A Teacher? Learning online is really geared only for adults and teens. Any course you find online will be fine for an adult - unless of course it says it's for children. If you know already you'd like to learn online, check out my page on online piano lessons. feedback - they'll let you know what you're doing right or wrong. you may be more motivated to practice when thinking about facing your teacher again next week. You need to find what suits you the most. 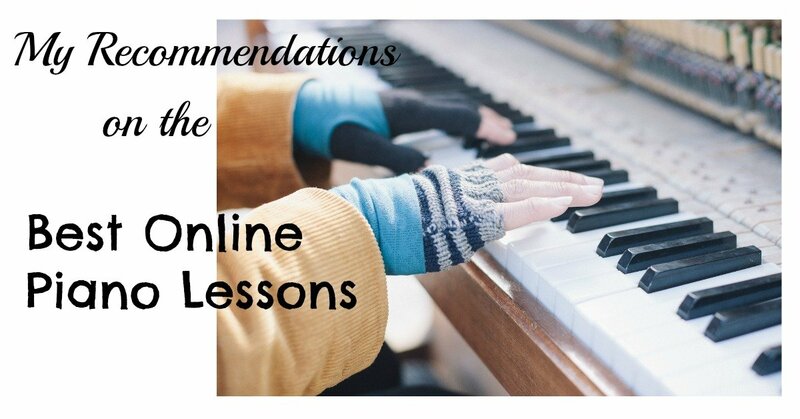 If you want to learn online, my top recommendation for adult piano lessons is called Piano For All. It's a very good beginner course. It is for adults. It's inexpensive, teaches chords and very well-rounded. Return from Adult Piano Lessons to Piano Lessons Info Homepage.